Sa tuna is a cove which is about 10 minutes away from the city center by car, a characteristic that makes it special and shortly frequented . Offers a nice swimm in a clean and transparent water, and calm walks through the Coastal Route. Aiguablava is also another example of crystalline water beach, but in this case, its low depth and its fine sand are some of its natural charms. On the other hand, Begur’s urban core is not less breathtaking. Its castle and its historic old part makes the town look alive. In addition, the colonial style of its streets makes it one of the most picturesque areas of the Costa Brava. 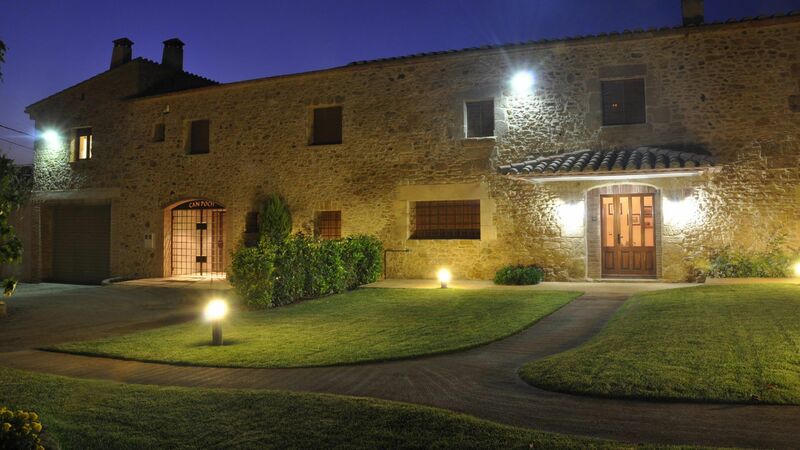 The area of ​​Empordanet (interior Costa Brava) also stands out for its medieval past. Peratallada is a Historic-Artistic declared town for its urban core as one of the most important medieval architecture and best conserved in Catalonia. Madremanya is located on a hill top. Chaired by a large parish church fortified urban structure preserved medieval origins and a great part of the houses that took part of the village in the XVI, XVII and XVIII years. Monells is an ancient castle, which has preserved the walls. The charm of the village resides in its medieval past when nobles and knights stayed. This lighthouse is one of the most powerful in Spain and it’s located in a tiny cape surrounded by rugged cliffs. Climbing a road with several corners from the beautiful beach of Llafranc, in Palafrugell, we find one of the beauties of the Catalan coast. From its summit we can enjoy enviable views, where we can contemplate the beaches of the town as well as the prominent silhouette of the coast. Being one of the provincial capitals of Catalonia, it is a relatively small and welcoming city. Its territory is crossed by four rivers, factor that divided it into several parts during the average age. It has an artistic and historical heritage of great importance. Its Cathedral is famous for belonging to three different architectural styles: Romanesque, Gothic and Baroque. Its cloister is Romanesque, its gothic nave and its baroque details. It has also been part of cinematographic locations, since its old part has been part of Game of Thrones’s sixth season, a successful serie. Another city’s attraction is its old town (called Barri Vell). It is the heart of the ancient Roman Girona’s city, and contains the most important artistic heritage of the city. Basilicas, cathedrals and slender churches make up its cobbled streets. If we walk through them we will find the Arab baths, the Jewry (or Call Jueu) or the bridges over the river Oñar, among other attractions.